The history of our national parks is also the history of land management practices in America because they are the places we have made the strongest commitment to preserve and protect. Engineering Eden (1) tells the story of how land management practices have changed since the inception of our national park system in 1872, when Yellowstone National Park was created. This article is based on Engineering Eden. The law that created Yellowstone National Park contained a contradictory mandate that foretold the conflicting land management practices of the National Park Services (NPS) that are still evident today: “On the one hand, it ordained that Yellowstone was to be a ‘public park or pleasuring-ground for the benefit and enjoyment of the people.’ On the other, its minders were instructed to ‘provide for the preservation, from injury or spoliation, of all…natural curiosities, or wonders within said park, and their retention in their natural condition.’” (1) Several generations of NPS leadership interpreted this contradictory mandate differently. Initially, the emphasis was on the recreational function of the parks, as huge, elaborate hotels and visitor facilities were built. 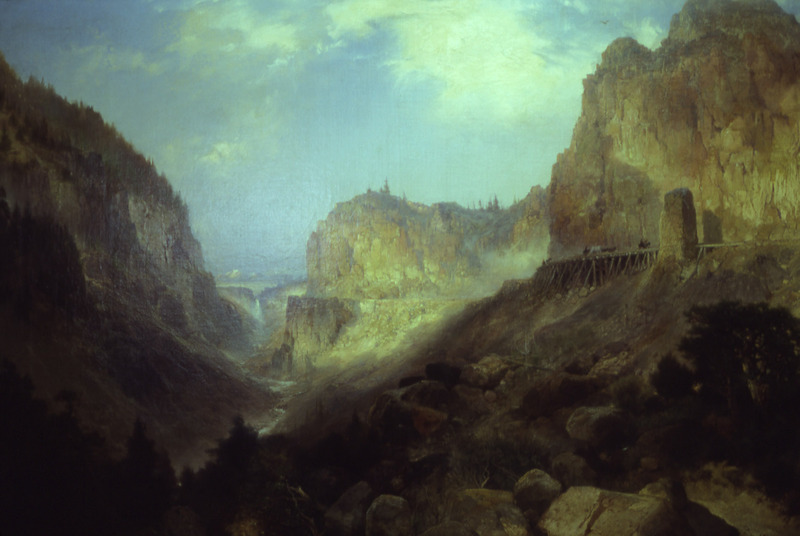 Visitors to these remote locations had to be fed and waste management was not more sophisticated in the parks than anywhere else in the 19th century. Huge garbage dumps quickly developed and they drew black and grizzly bears out of the forests for the easily available food. Over time, these garbage dumps became stage shows for visitors to gather at the end of the day in amphitheaters built for that purpose to watch the bears arrive for a scheduled “feeding” at the dumps. 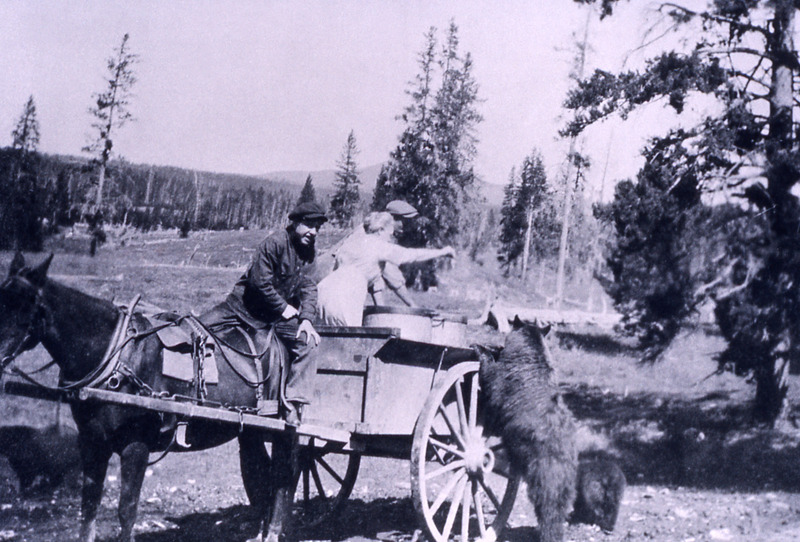 Visitors were also not discouraged from feeding the bears by hand in their campsites and along the roads in the parks. The bears’ expectations of food from the visitors sometimes resulted in injuries: Between 1931 and 1939 there were 527 injuries such as “slashes and bites to arms, and mangled extremities that had been holding the food” at Yellowstone. The US Forest Service is the sister agency of the National Park Service. It was created in 1881 in response to a growing concern that the country was consuming its forests at an unsustainable rate. Its mission was the creation of a forest reserve. These forest preserves provided grazing leases to privately owned herds of cattle and sheep and the forest service took responsibility for controlling predators of the domesticated animals. The loss of predators quickly resulted in an explosion in the population of their prey, particularly elk. The growing population of elk browsed vegetation—“they gnawed on aspen saplings, stripped the bark of mature trees, chewed on conifer boughs, willows, currant bushes, and sagebrush”– turning beautiful landscapes into threadbare landscapes. The loss of vegetation also reduced populations of beavers, pronghorn, deer, and bighorn sheep. The loss of those species had other consequences for the complex ecology of Yellowstone, such as the loss of wetlands maintained by beaver ponds. Finally, the elk population grew beyond their food sources and emaciated, dying elk contributed to the unsightly consequences of destroying their predators. 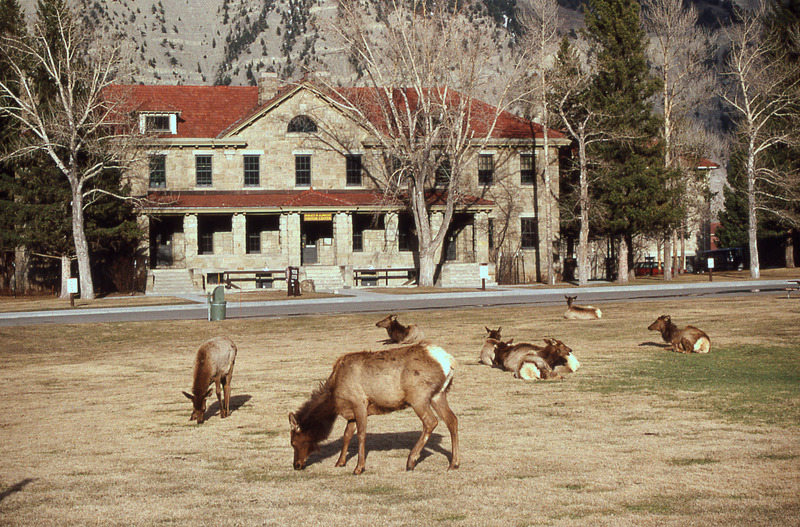 The reaction of the park service managers to the exploding elk population was initially to move elk around the country to places where they had existed in the past. Point Reyes National Seashore is one of the places where elk were reintroduced and the consequences there are much the same as they were in Yellowstone. That is, the predators of elk no longer exist in Point Reyes National Seashore (PRNS) so there are now more elk there than can be supported by existing vegetation. There is now a controversy about the fate of the elk at PRNS and consequent lawsuit that is another story and yet to be resolved. When opportunities to move elk were exhausted they began to kill elk at Yellowstone. Beginning in the 1930s thousands of elk were shot in Yellowstone to reduce the population. Hunters in neighboring communities complained about these killings because they had enjoyed the overflow of elk outside of park boundaries where elk became prey for hunters. Meanwhile, the science of ecology was taking shape. The Ecological Society of America (ESA) was founded in 1915 and it passed a resolution in 1921 opposing the introduction of non-native species such as game fish to national parks. ESA was quickly joined by the American Association for Advancement of Science, which issued a report in 1925 about the value of retaining “original conditions” in the national parks. These organizations began to lobby for more scientific management of the national parks and their requests coincided with the development of the academic science of ecology. UC Berkeley played an important role in the transition of park management policy from one that emphasized recreational uses of the parks to one that emphasizes conservation and preservation. In 1962 Stewart Udall, Secretary of the Interior, appointed Starker Leopold to chair an Advisory Board on Wildlife Management for the National Park Service. Starker Leopold, son of Aldo Leopold, was a member of the faculty at UC Berkeley forestry department. The management at Yellowstone took the Leopold Report seriously. They set as their top priority the closing of garbage dumps at Yellowstone, based on their belief that the bears would quickly return to the forests. They were advised by wildlife biologists studying the bears against making that change quickly without transitional accommodations such as stocking the forests with the carrion of the elk that were being killed. Management shut down the biologists’ research project and removed tracking devices and identification tags from the bears that had been studied. Park managers had never been rigorous in requiring visitors to keep their food in places inaccessible to bears. The bears now associated food with humans and quickly became aggressive in seeking food where they expected to find it…in campsites, in cars, in cabins. In some years, the situation was exacerbated by drought that caused the blueberry crop to fail. And the exploding elk population also decimated the crop of currents. So, the bears had little recourse for food except the human sources that had been freely available to them for over fifty years. In retrospect, the consequences of these decisions seem entirely predictable. There were many spectacularly grisly killings and maiming of human visitors by grizzly bears. But as sad and unnecessary as those deaths were, it is even sadder to learn that hundreds of bears were killed by park rangers trying to keep visitors safe. Bears that threatened people or destroyed properties such as cabins and cars were repeatedly darted with sedatives and moved into the forests. They quickly returned to the same locations and were eventually killed by rangers. By the late 1970s the number of black and grizzly bears in Yellowstone, Yosemite, and Glacier national parks had dwindled to the point that their extinction was predicted. Starker Leopold continued to have a profound influence on the management of the national parks when he installed one of his graduate students, David Graber, in the management of Yosemite Park. Graber is responsible for introducing a bear-proof food locker into the national park system that broke the bears’ association of humans with food. Rigorous enforcement of rules that prohibit feeding bears and require use of the food lockers was also needed. Eventually, the equivalent of this food locker was also invented for backpacking in the back country. 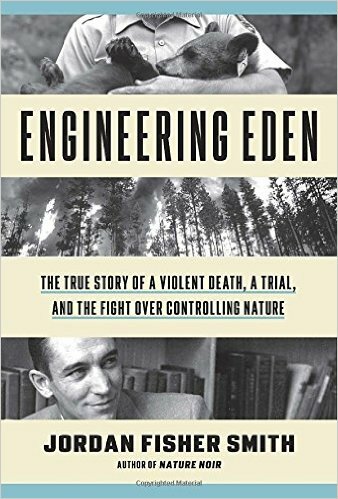 The author of Engineering Eden speculates that the personal quality that enabled David Graber to find a solution to a deadly situation was humility. He describes Graber’s uncertainty about the many management decisions he was required to make as he worked on the thorny issues he faced, such as the question of where and when to conduct the prescribed burns that are considered necessary in our national parks to reduce wildfire hazards and to mimic the ecological benefits of fire. He begged his mentor, Starker Leopold, for an updated Leopold Report that would provide greater guidance for the decisions he was making. Leopold declined, while expressing confidence in Graber’s decisions and noting that uncertainty is inherent in “managing” nature. We end this story with a tribute to Mr. Graber and to the virtue of humility in land management decisions. In contrast to that humility, the Center for Biological Diversity (CBD) has applied to US Fish and Wildlife Service to reintroduce grizzly bears to California. Grizzly bears have been absent in California since 1924 at a time when the human population was minuscule compared to the 39 million people who live here now. At first glance, you might think CBD’s request misanthropic, given that some people would surely lose their lives to the bears. But this would overlook the inevitable fact that more bears are likely to die in their encounters with humans. The bears are ultimately the losers in conflicts with humans. ← If animals love non-native trees, why don’t humans? Perhaps we should be creating a California Preserve Project if that is feasible instead of investing in the upgrade of zoo quarters from a small studio to a slightly larger 1 bedroom? If anyone wants to experience the New Wild as described by Fred Pearce set aside a few hours to wander the Albany Bulb. Flowers, shrubs, trees and contributions volunteered by human artists. Many species creating a place of peace and beauty incorporating themselves with the debris dumped in the bay. There is a sanitized strip of uniform rocks and pavement which I suppose is meant to serve the less mobile and less adventurous. New Wild on the hillside, and evidence of extensive weed pulling (which I witnessed) and apparently weed killer on the bayside. Thanks, Marla. We are also BIG fans of the Albany Bulb…as it was before it was prettified. Here’s a Million Trees post about the projects that take wild, un-managed places like the Bulb and ruin them with too much “management.” https://milliontrees.me/2011/04/10/oyster-bay-a-preview-of-plans-for-the-albany-bulb/. Once again, Millions Trees, you have brought a book to my attention that I am eager to read. That the National parks system first was largely considered a venue for human entertainment by way of “preserving” it, is an extension of domestication and commodification of animals and land as property for the use of humans beyond the absolute necessities for survival. While it’s true and realistic that humans will avail themselves to other aspects of nature to facilitate their own survival, as all species do, domestication is fraught with compensatory obligations that we have never been able to meet. The consequences have been devastating.